Serving high quality medicine at an affordable rate. 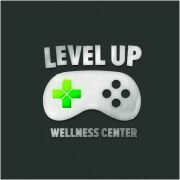 LEVEL -UP- WELLNESS CENTER is a collective of patients serving patients located in the East Bay area & those located throughout the state of California! Our number one priority at all times is customer service. Your experience with us will have you leaving our meetups satisfied in every way! Our goal is to provide you with the best medicines at the best prices with the convenience of your desired location and the most discreet and pleasant experience/atmosphere as possible. ​We carry a unique inventory of topicals, flowers, and concentrates including ‘space foam.’ We are also pleased to offer edibles such as infused cheese and healthy snacks among many other unique culinary delights.